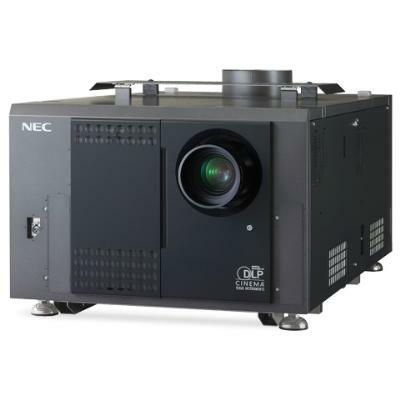 NEC’s NC3240S Digital Cinema projector, designed for auditoriums with the largest screens, will be featured in the event that LLE is holding to compare images from identical laser and Xenon illuminated projectors. A side-by-side comparison will be made using NEC’s 4K DLP Cinema Projector and its 4K Xenon arc lamp projector. Delivering precise 4K (4096 x 2160) resolution, 3-D capabilities and high contrast images (2000:1), the NC3240S is easy to operate, extremely user-friendly and requires minimal maintenance. NEC also will have the recently announced NC1100L projector available for demonstrations at the Marriott Convention center next door to the event. The NC1100L features 2K (2048 x 1080) resolutions, 3D capabilities and 3-chip DMD reflection method. It is easy to operate with user-friendly accessibility. The NC1100L will be available in March 2014 with a two-year limited warranty (for U.S. and Canada only), including parts and labor. The Laser Projection Demonstrations will run from Monday, November 11 through Thursday, November 14, by invitation only, for studio executives and technologists, cinematographers, producers, exhibitors, and other industry decision makers who want to assess the state of laser projection. The week-long event will be held at Technicolor Burbank, which has a long-standing history of advancing technology for media and entertainment.